I was inside the Transformer. The chair I was sitting in was being skyrocketed upwards while all around me, portions of this massive structure were being clicked into place as various parts of the ceilings and walls were being shifted and moved into new places and formations. I was inside this building as it was going through a sudden and dramatic Transformation of the supernatural kind. But this wasn’t a Transformer Toy. It was The Church. This was the dream I had last week on a Saturday night. This experience was sudden and shocking. The structure I was sitting in was like a massive cathedral with vaulted ceilings, ornate fixtures, overhanging arches and intricate detail. It was like the churches of ages gone by, yet it was contemporary. I was sitting with others awaiting a presentation when the shift happened. 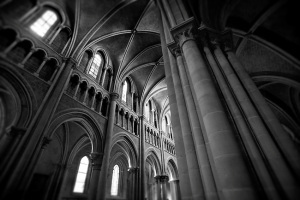 I looked upwards and saw overhanging arches in the ceiling begin to come apart and change direction. All around the upper corners I saw sections of the wall and ceiling come apart in clean and distinct fashion as if on cue. They were changing the entire shape of the structure and reconfiguring the essence of the building. As I watched this take place, I began to move. My chair began to suddenly move upwards as if on a hydraulic lift. I had to hang as my speed increased rapidly and I continued to hear the clicking and clanging noises of the transformation all around me. As I continued upwards I saw the building around me move downwards as I saw floor after floor pass beside me as it continued to shift and move. When I didn’t think I could go any higher I quickly began to move backwards in a downward motion realizing that it felt like an enormous Ferris wheel ride! I never saw anyone else. All I could do was hang on so as not to fall off my chair. This entire structure was being instantly transformed and all I could do was watch and experience the ride. It was exhilarating, yet fearsome. Even as I was catapulted in my chair, I thought of my children. They are grown now, but in the dream I was immediately transported to our family van. I was inside the van as this transformation continued and I looked out the window to see my 3 children, all much younger, sitting outside in lawn chairs attached to a very flimsy metal carrier! Though the swirling and shifting were continuing all around us, they were sitting on these lawn chairs just looking around like curious kids, also enjoying the ride. I was anxious for them and started to open the side door to bring them inside. However, when I did, I realized that we were in swirling water…SOAPY water! I had to shut the door right away to keep it out. Even though I hated to leave them outside, I had the distinct impression that they were fine and to LET THEM BE. I tried to crawl over the seats to get back to the driver’s seat and saw out the window that we were moving and floating in soapy water. It was like we were going through a huge WASH CYCLE! I believe this is the MEANS to the end of TRANSFORMATION to the Church. God is cleansing the Church and removing every hindrance and roadblock to His coming. God is not just about transforming cities or communities. Ultimately, HE IS TRANSFORMING THE CHURCH. It is only when the Church, His Bride, becomes who She was intended to be, that true and lasting transformation can happen in our nation. It is also very personal. This transformation must first affect us as believers and then our families. Many people are being tested right now; tests of faith, discernment, spiritual authority and relationships. We are being tested in our resolve to be a covenant community that lives above offense and differences of opinion. God is cleansing us of FEAR and COUNTERFEIT Lovers. He is washing us and calling us to HIS WORD so that we will have a solid foundation to build on. He is also looking at a much bigger picture than we are. He always thinks generationally. There is a young generation that is watching (my kids on the lawn chairs). They are looking for something real and powerful. They have a child-like faith that God is preparing to receive the fullness of the Spirit coupled with the power of His Word. They will be ones who will do exploits and charge into places we never dreamed of in order to advance the Kingdom. We are called to let them go and let Him have His way with them. They are not ours, after all, but His. We simply need to let Him complete this work of cleansing and purifying. He is coming for a FAMILY that is healthy and whole. He is teaching us how to rest in Him and let go of our control. It may seem messy, but it’s HIS mess! Get ready, Church. Things are not going to look the same once He comes to manifest His presence through His Bride. The old will pass away and the new will come. Just be sure to buckle up…and enjoy the ride. Thank you for sharing. I had a similar experience/dream recently.